Kits, Knits, and Bits | Free knit patterns and inspirations by Ashley from sunny California. Let me start by saying this project really tested my sanity. I have spent so many tears on this project and ripped it out and restarted so many times, I am lucky I didn’t end up strangling someone with the yarn. With that ominous intro, let me bring you to the beginning! So a few years back, I was perusing my local Barnes and Noble around the holidays trying to find inspiration for that perfect winter pattern. After flipping through a few, I purchased Love of Knitting – Winter 2015. Back then, I was a pretty novice knitter and was pretty intimidated by some of the patterns. But last Christmas, my boyfriend gave me the most beautiful skeins of merino wool, Australian Superfine Merino by Cleckheaton in Forest. Isn’t it beautiful? So instead of knitting up ANOTHER boring scarf – I wanted to do something special with it. And so I set out to began my first sweater project! 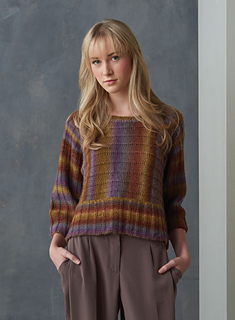 I flipped through that magazine that was collecting dust in my ottoman and settled on the Linear Links Sweater. Optimistically, picked up my needles and jumped right in… and then almost immediately stopped. Something was wrong. The repeating stitch pattern for the WHOLE sweater had a mistake and I spent 3 days trying to sort it out. Eventually, with the help of the Raverly community, we figured out the pattern (check out the thread here). 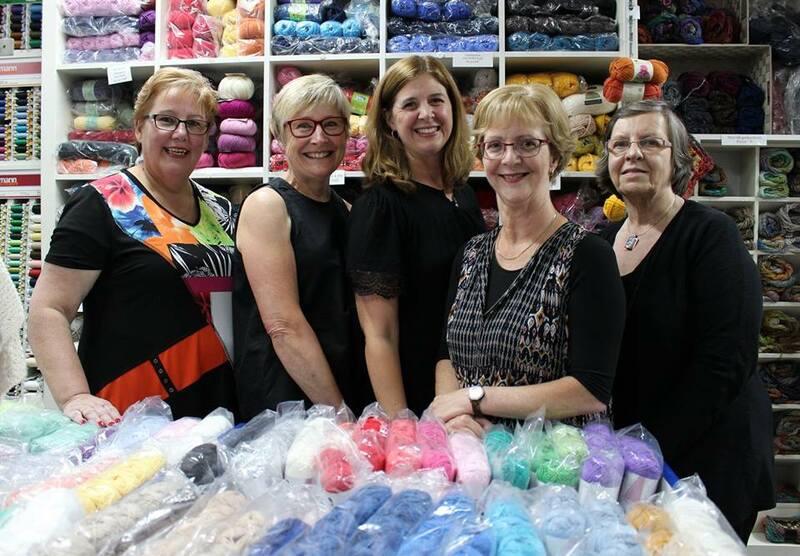 So again – I pick up my needles and jumped right in! But time and time again, I followed along and found mistakes, or simply not enough instruction, to direct me correctly through the pattern. I’d knit 30 rows only to rip them all out in 4 hours time. I seriously did the first arm 3 times over. I feel to save space in the magazine, they cut out vital information that would help direct knitters through it successfully. Frustrated and exhausted, I took a break from this pattern to work on the Brioche Knit Blanket for my sister. But once that project was complete and I went to return to my sweater – I couldn’t find it anywhere! Now I live in only 400 square feet, so there are not that many hiding places! We turned the house inside out only to come up empty handed. No dice, no sweater. I reluctantly gave up, angry I wasted so much time and lost my beautiful yarn. A month later I went through my closet to find my backpack for the LA County Fair. When I picked it up, I thought “That’s oddly heavy”! When I opened it up, it was like Christmas in September! My long lost project! I had taken it with me on a work trip a two months earlier and never taken it out. And so once more, I picked up my needles and jumped right back in. I struggled through the neck shaping, pushed through beginning the second sleeve, and started to see the light at the end of the tunnel when – I ran out of yarn. I rushed to the store to try to see if they had the same dye lot as 9 months ago (fat chance, right?) to find out they don’t even carry that yarn at all anymore. I search my other local stores – goose egg. I went to Amazon – doesn’t deliver to the United States. Broken-hearted over my nearly finished project, that by then was full of tears of frustration, I gave one last search into the wonderful world of the internet. Thank my stars for the beautiful Australian store Craftee Cottage and the lovely people that work there! Seriously, my knights in shinning armor. I ordered 3 skeins and paid for some crazy shipping to get the yarn from Australia to my Los Angeles suburb tiny home. Totally worth it. And now, for what must have been the millionth time, I picked up my needles and jumped in for my final time to finish my sweater. I could hardly bind off without my hands shaking with excitement; I completed my first sweater and it fit perfectly. Just shy of a whole year later, I was able to wear my new sweater for Christmas. I love my sweater to pieces. It took patience, tears, math, time, a search party, and a little shop in Australia – but I have a piece that I am enormously proud of and am happy to have crafted with my own two hands. Good morning and happy Friday from sunny California! Today, I am shamelessly promoting my Etsy shop, YarningForKnts & our current exclusive offer for readers like you! From now until Valentine’s Day, enjoy 20% off our entire stock! Yes, I mean everything! From our knit boot cuffs to dish cloths and everything in between. Simply use promo code KitsKnitsBits during check out! OKAY! End of shameless promo! Stay tuned for new knitting patterns & inspirations!